entire body, as well as many other benefits. to combat stresses that affect our balance and well-being each day. Your hair is a direct reflection of your personal style and image. So put your cut and color in the hands of our experienced creative team. Your cut begins with a stress relieving scalp massage, using Aveda's plant infused shampoo, followed by an Aveda deep hair conditioning treatment. Your natural hair color can be enhanced or changed with an Aveda coloring experience, which will leave hair shiny, soft, and healthy. All hair cuts & color include wash and blow dry. AT SPALON OUR GOAL IS TO DESIGN TREATMENTS TO BRING YOU BACK INTO BALANCE, USING NURTURING HIGH-TOUCH APPROACHES AND UNIQUE SENSORY EXPERIENCES. 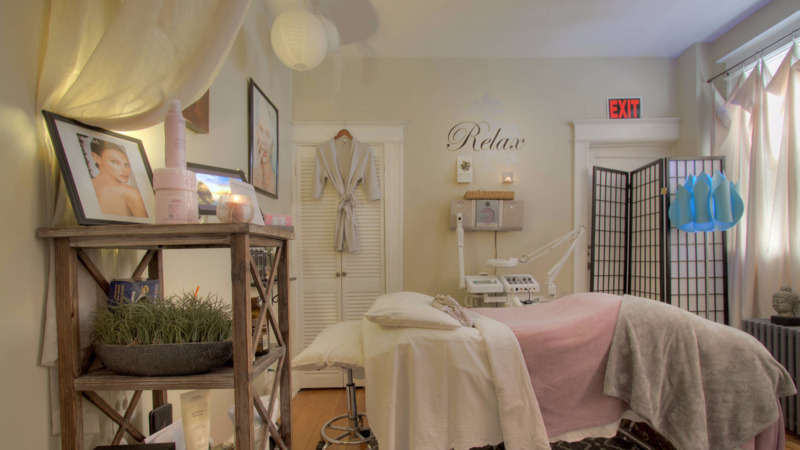 RESTORE HEALTHY BALANCE TO YOUR SKIN WITH A CUSTOMIZED FACIAL UTILIZING PERSONALIZED PRODUCTS, ESSENTIAL OIL AROMAS AND FACIAL TECHNIQUES. APPEARANCE WILL IMPROVE, HELPING TO CORRECT AS WELL AS PREVENT FUTURE BLEMISHES. YOU CHOOSE A CONCENTRATION NEEDED ON CLEASING, HYDRATION, OR RELAXATION. SPECIAL ATTENTION IN YOUR MOST NEEDED AREA. DESIGNED TO BRING PURITY AND BALANCE TO THE SKIN ON THE BACK, THIS TREATMENT WILL FOCUS ON CLEANSING, SKIN EXFOLIATIONS, BACK MASSAGE AND MASQUE THERAPY. PERFECT IF YOU ARE HAVING SKIN CHALLENGES ON YOUR BACK, SEASONAL SKIN CHANGES OR A SPECIAL OCCASION. Microblading is a form of tatooing. Pigment is implanted under the skin with a manual tool using hair like strokes to mimic the natural hairs in the eyebrows. $375.00 - Includes consultaion. A four week touchup is recommended after healing for best results. *Starting prices listed above. Prices may vary according to length and volume of hair. Swedish Massage - A customized therapeutic massage experience using Swedish massage techniques. The primary goal is to relax the entire body by rubbing the muscles with long gliding strokes in the direction of blood returning to the heart. This type of massage is more than just relaxation it is beneficial for increasing blood circulation, reducing muscle pain, and promotes peace of mind while decreasing negativity. Deep Tissue Massage - This type of massage is used to release areas of strain and tension in the muscles. This is done through digital pressure in certain areas and deep long strokes to work out the muscles. Shiatsu - This form of massage focuses on rotating and stretching limbs, joints, and pressure points, or meridians, as they're called in traditional Chinese medicine. Pressure with thumbs, hands, elbows, knees or feet is applied to pressure points on the body. This is done fully clothed and done on a mat on the ground. Pregnancy Massage - A massage tailored to the mother and the baby by using side-lying positioning.Techniques are similar to swedish massage, but vary in certain stages of pregnancy to help create a comfortable and safe experience. Pure Focus Massage - A customized massage done on specific muscles using applied techniques determined by the client and the LMT. Ideal to treat injuries as well as a preventative treatment. Aroma Massage - A customized therapeutic massage experience that blends Aveda’s pure plant and flower essences and hot towels with traditional massage techniques. Sports Massage - Incorporates stretching, kneading and muscle manipulation dealing with the health of muscle and connective tissue, range of movement, tone, symmetry, balance of muscle and quality of posture. Beneficial for before and after physical activity. Stress Fix Body Massage - Clinically proven to reduce feelings of stress, the Stress-Fix aroma with lavender and clary sage is incorporated throughout this body massage that combines Swedish and deep tissue massage techniques to calm and rejuvenate you. Hot Stone Massage- Melts away tension, eases muscles stiffness and increases circulation and metabolism, The direct heat of the stones relaxes muscles, expands blood vessels, which encourages blood flow throughout the body allowing the therapist access to their deeper muscle layers. Chakra Massage - An innovative spa ritual steeped in the tradition of Ayurveda, the ancient healing art of India. This massage merges with Aveda Chakra Balancing Blend aromas to open and balance the chakras. It features firm pressure massage on the back and spinal muscles and energy work for the chakras. A four week series is recommended for optimal results. Pre-book 4 sessions @ $95.00 ea. Caribbean Body Therapy - A rejuvenating and nurturing body mask treatment that uses the healing touch and plant ingredients of the Caribbean to create inner calm and renew the body and senses. The treatment begins with a dry exfoliation, followed by a warm seaweed masque back treatment to smooth and detoxify the skin. A full body massage completes this island-inspired experience. Cupping therapy is an ancient form of alternative medicine in which a therapist puts special cups on your skin to create suction. Benefits include pain relief, less inflammation, enhances blood flow/circulation, relaxation, well-being, and to pull out toxins that linger in our bodies tissues. *All services can be added on to a massage or done separately. 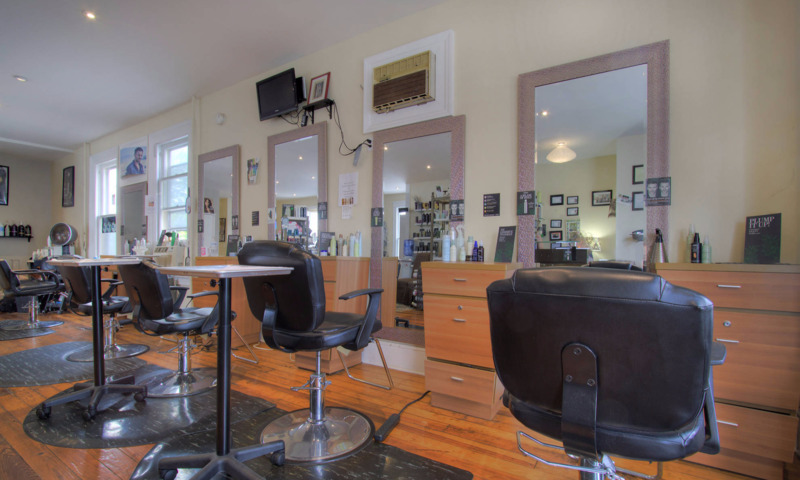 Ready for a great cut & color, massage or facial? Have someone special you'd like us to Pamper? Thank You for filling out our form! If you don't receive a reply shortly, please call for prompt service.